CUSTOM TATTOO DESIGN FOR A CLIENT IN AUSTRALIA. 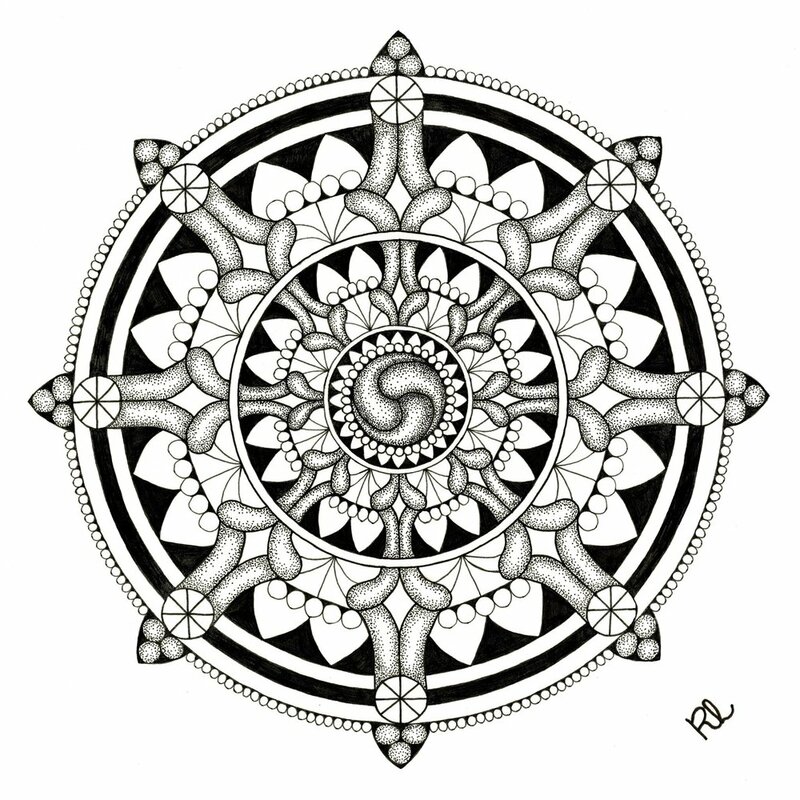 THE BUDDHISM DHARMA WHEEL REPRESENTING 8 STAGES OF ENLIGHTENMENT ENVELOPED IN A MANDALA SYMBOLISING CONSCIOUSNESS. HAND-DRAWN WITH FINE LINER AND SENT AS A HIGH QUALITY VECTOR. 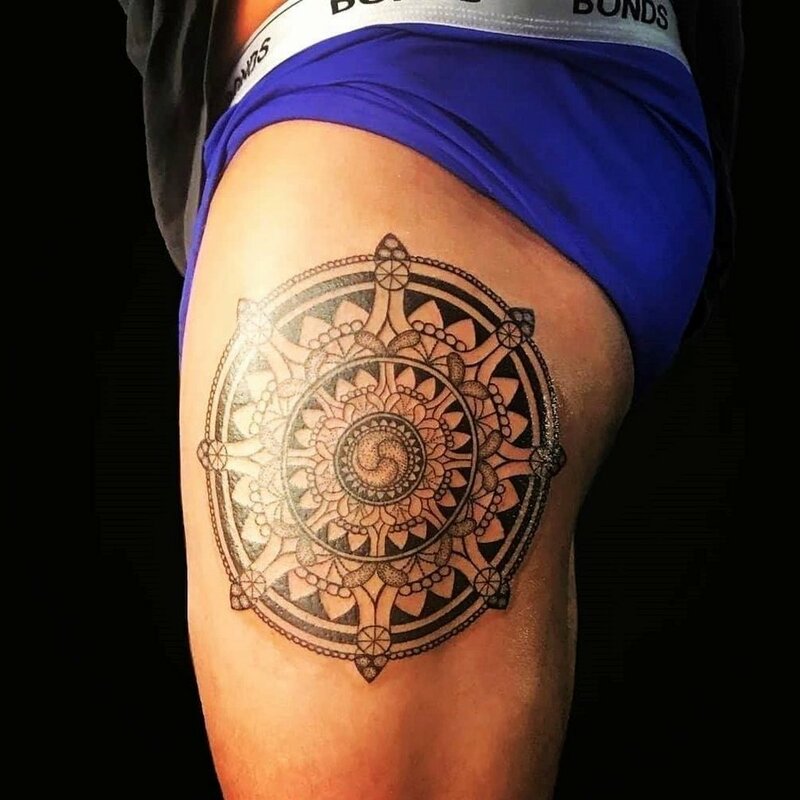 MY CLIENT THEN GOT THE DESIGN INKED ON HIS MONTH LONG RETREAT IN BALI, INDONESIA!